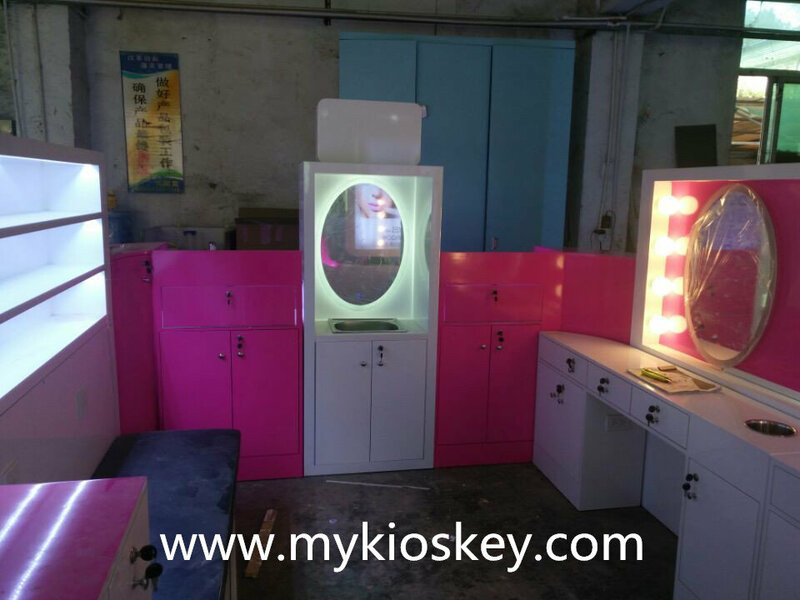 Recently workshop did many brow bar threading kiosks for different customers.brow business is great welcomed. 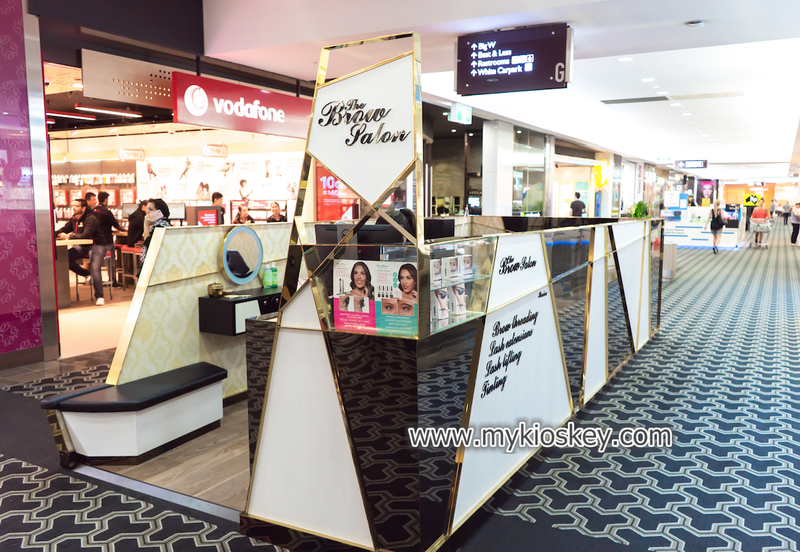 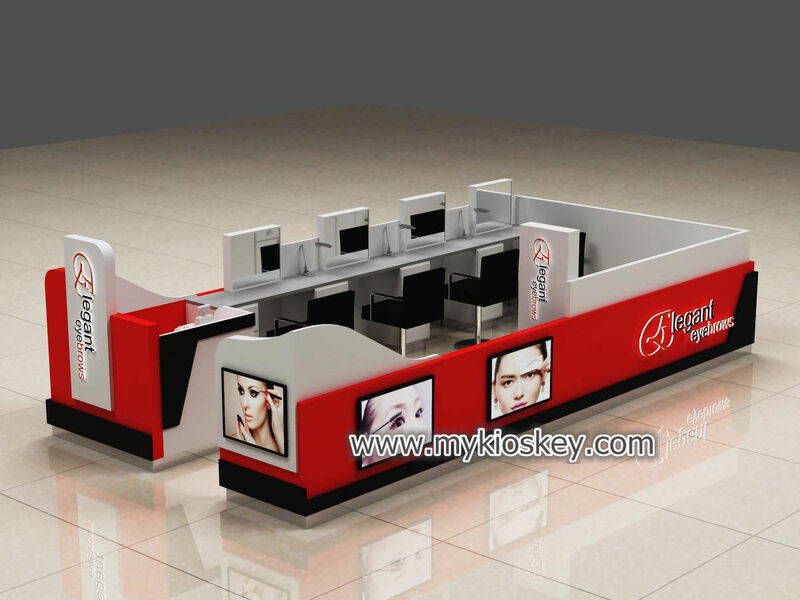 all people wanna their brow bar threading kiosk very elegant,nice.Brow threading business competition is getting fiercer.So a unique brow bar threading kiosk is very important,it can help you attract customers. 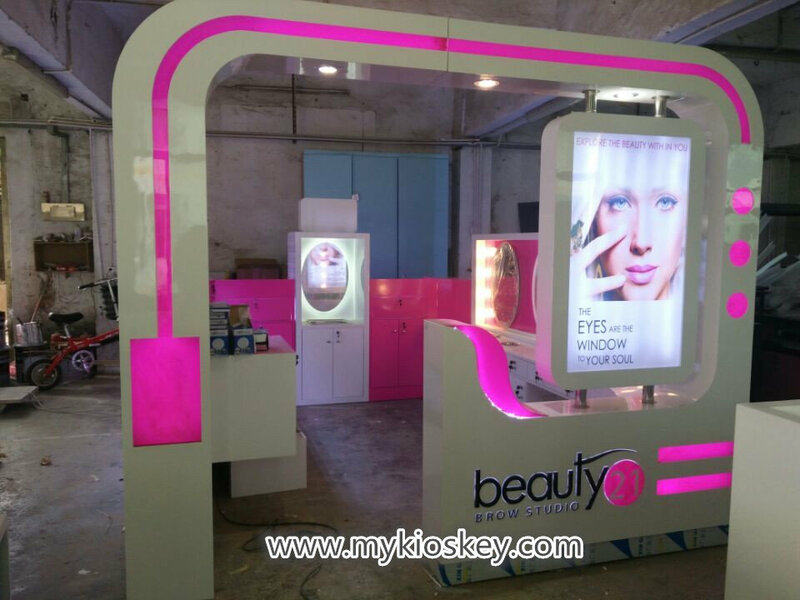 why say it is very unique?because it has some special modelings and color match looks very nice and unique.It used purple match white color,added nice led strips.looks very elegant.On entrance area,it did a arch,then go inside,left is sitting area,right side is 3 brow stations. 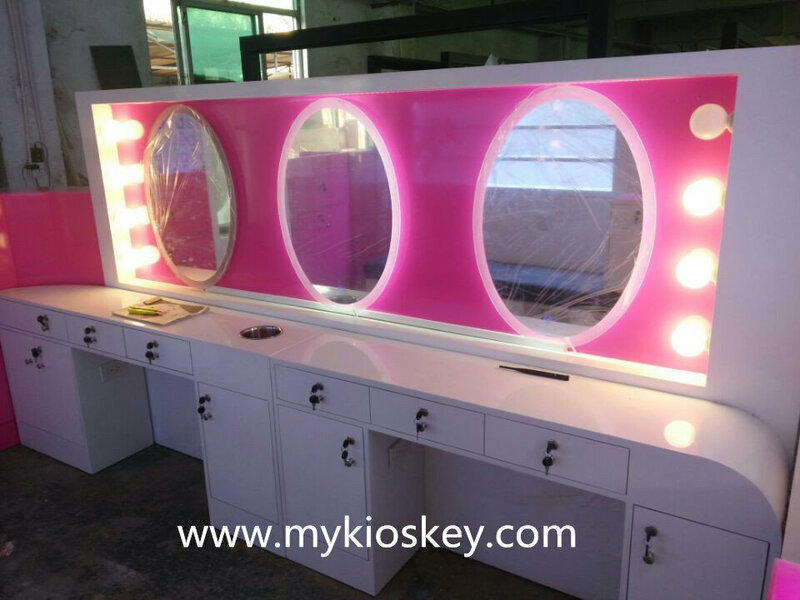 then at back is a counter with sink and mirror.And it used round mirrors with led lights,looks very nice.It is just 12ft by 9ft,not big but made full use of every space. 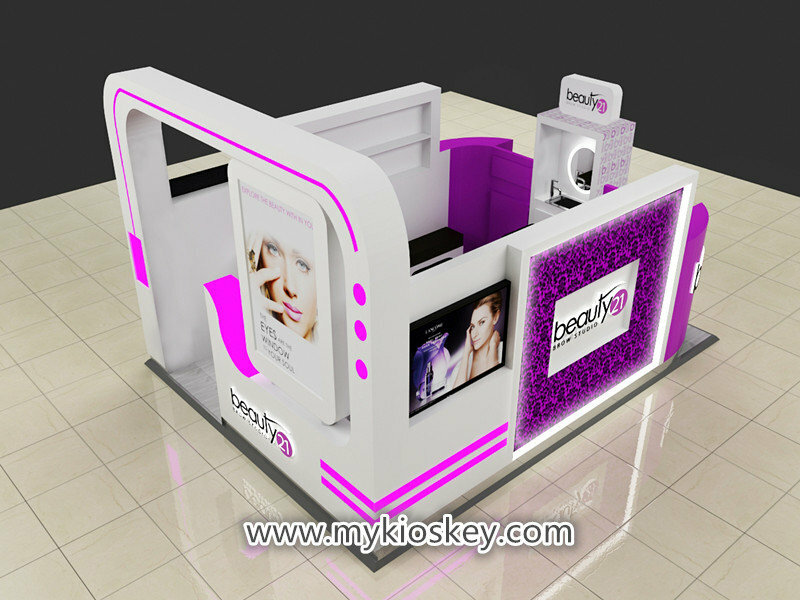 looks very elegant and nice right?I like it very much.What about you? 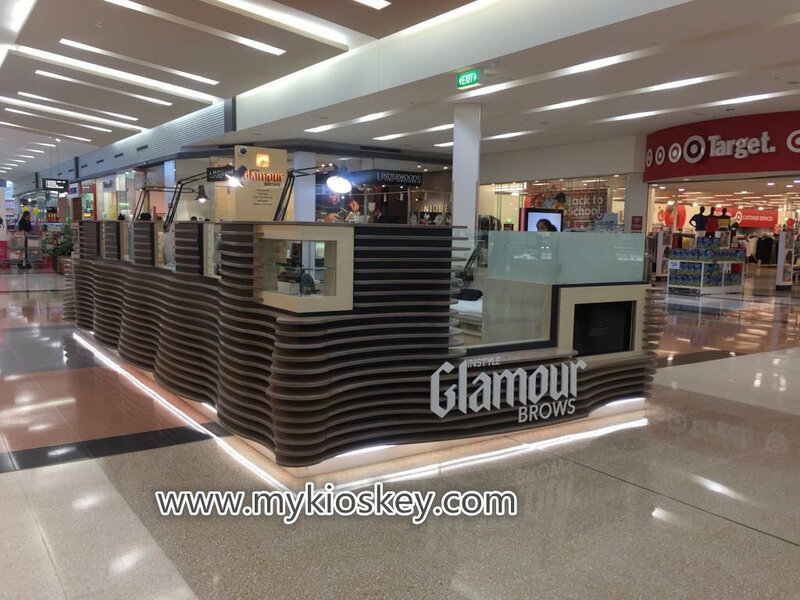 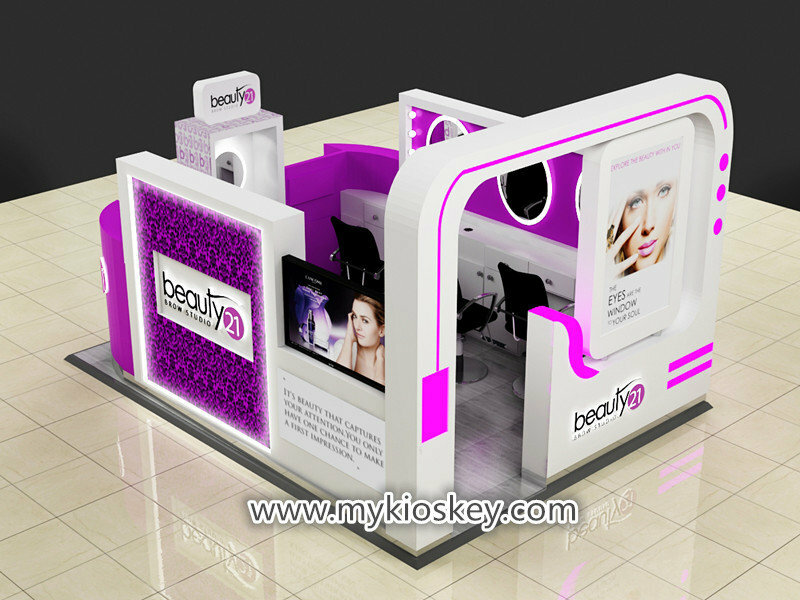 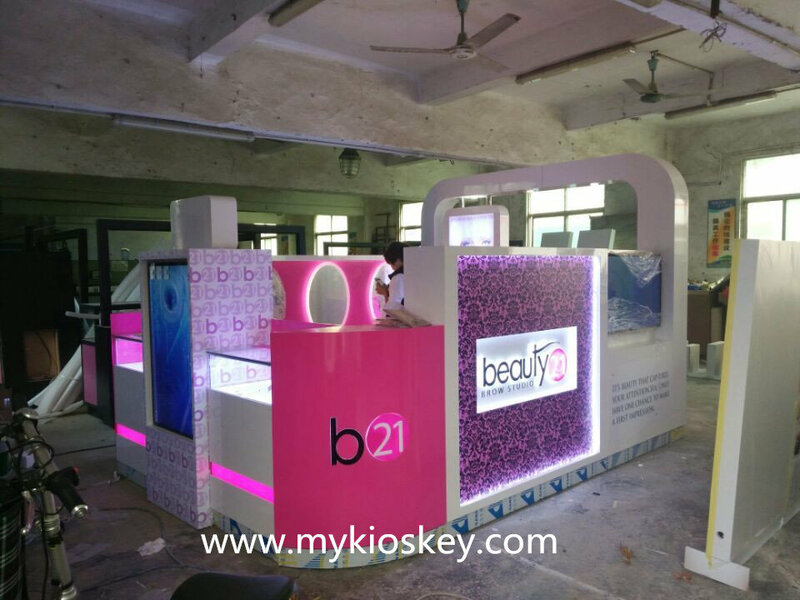 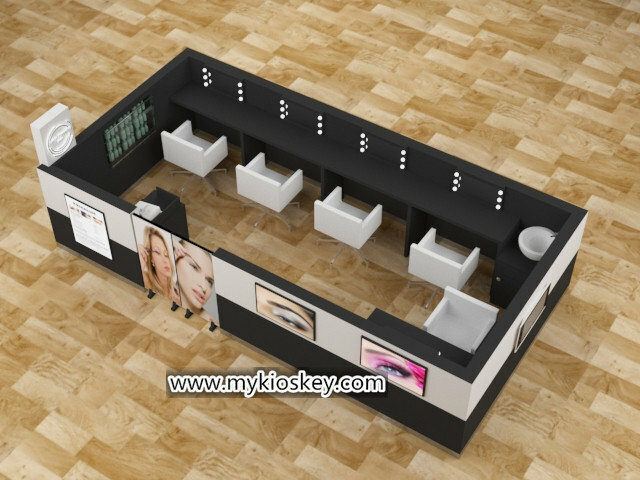 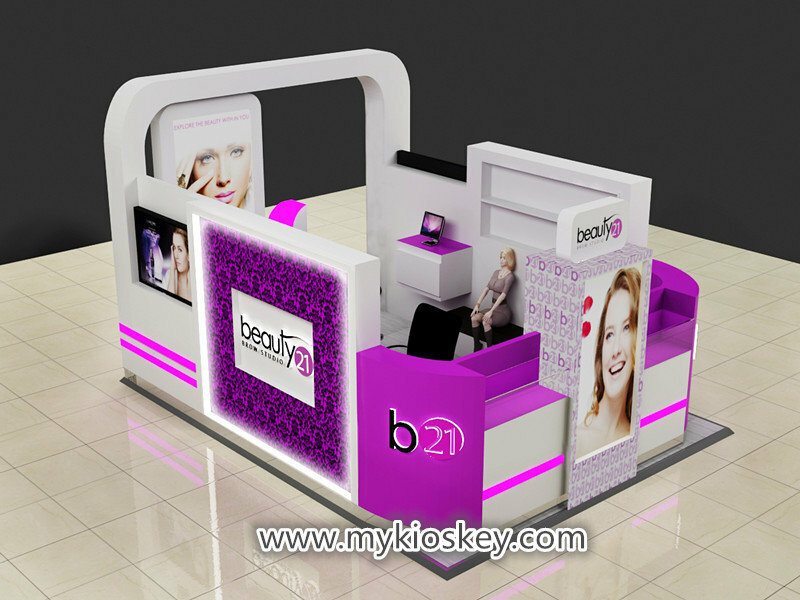 Do you also wana customize your own brow bar threading kiosk?just come here,we have professional design team,we would design for you. 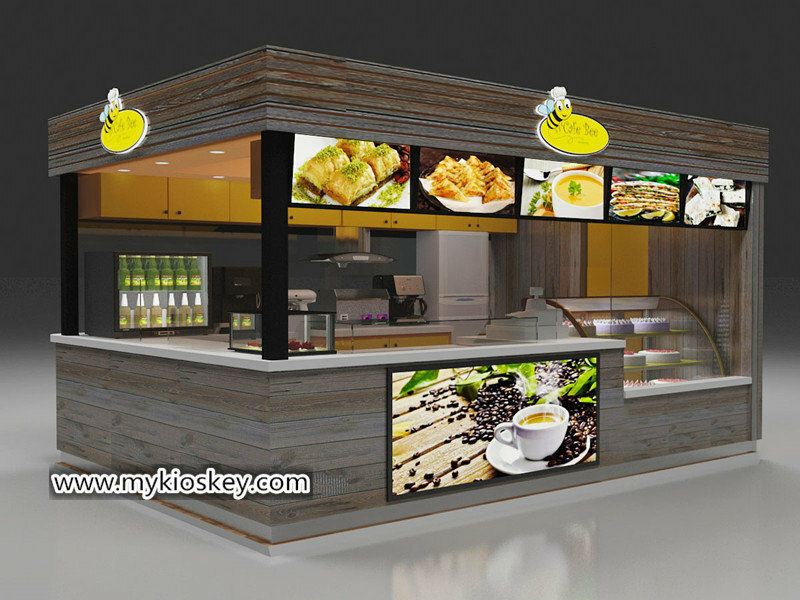 Fristly,you need speak with mall about the place,give rough idea. 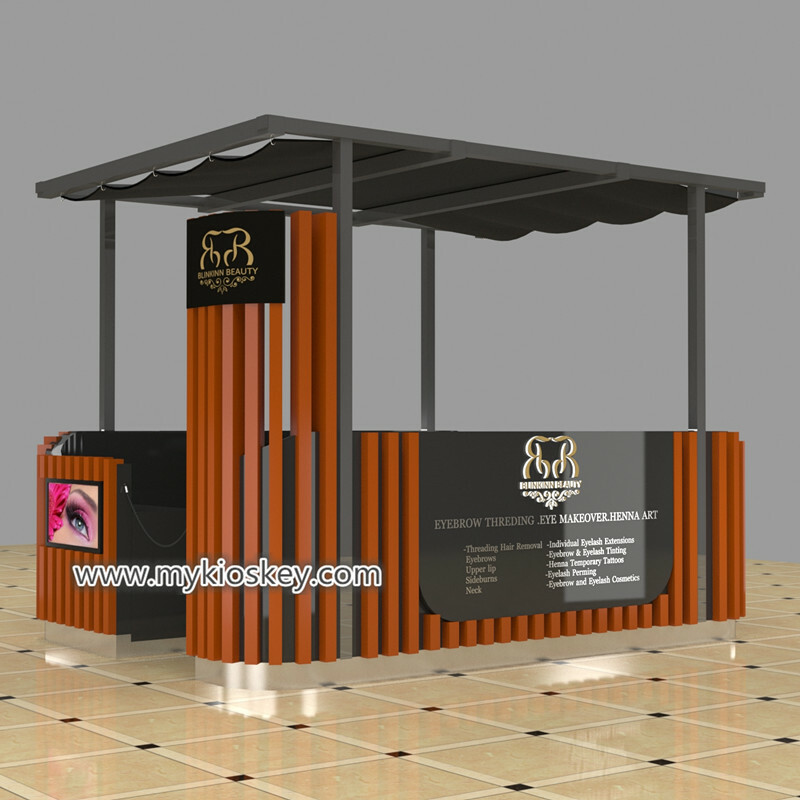 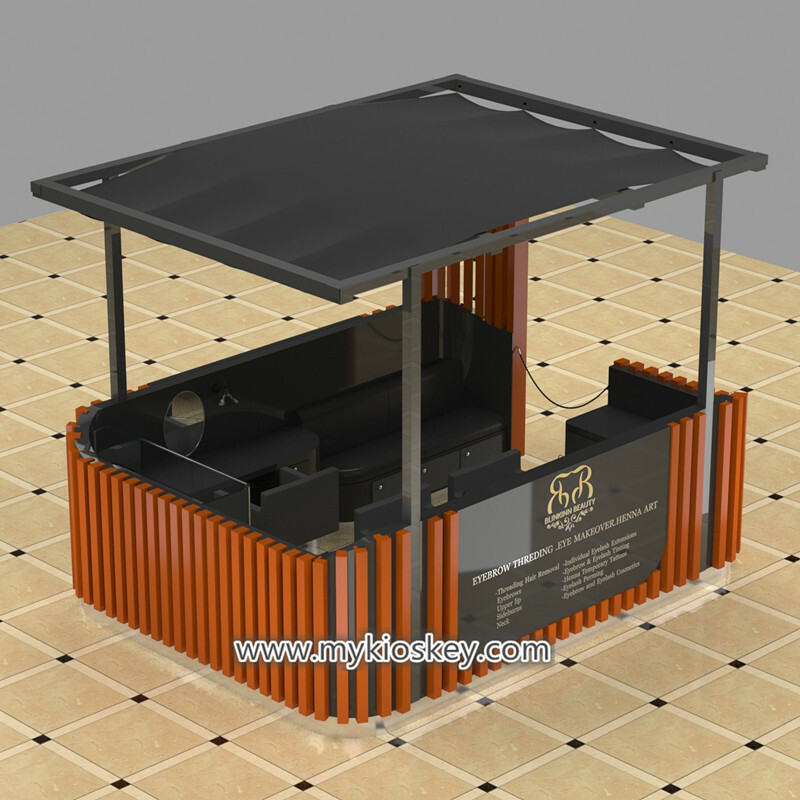 Second,mall will ask you supply professional 3D design plan with spec for approval. 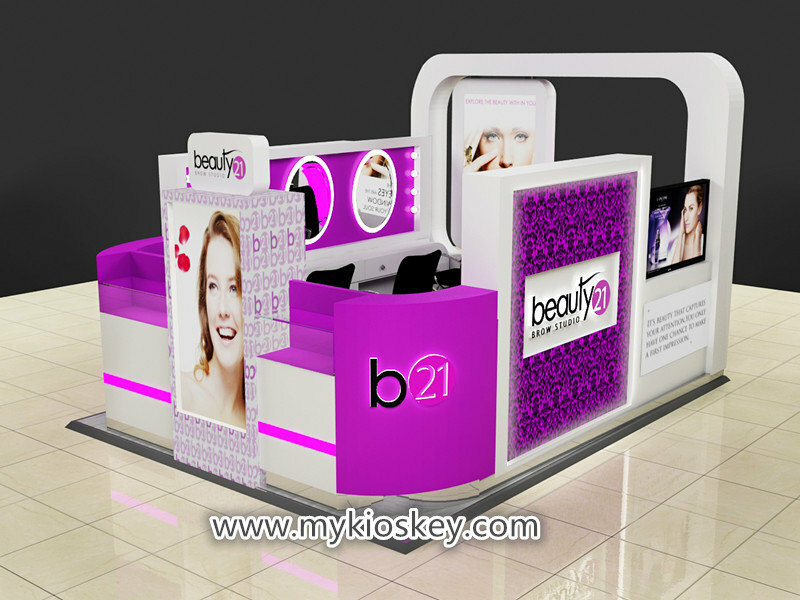 at this time,mall will give criteria or guideline,you need follow mall needs and standard to make design. 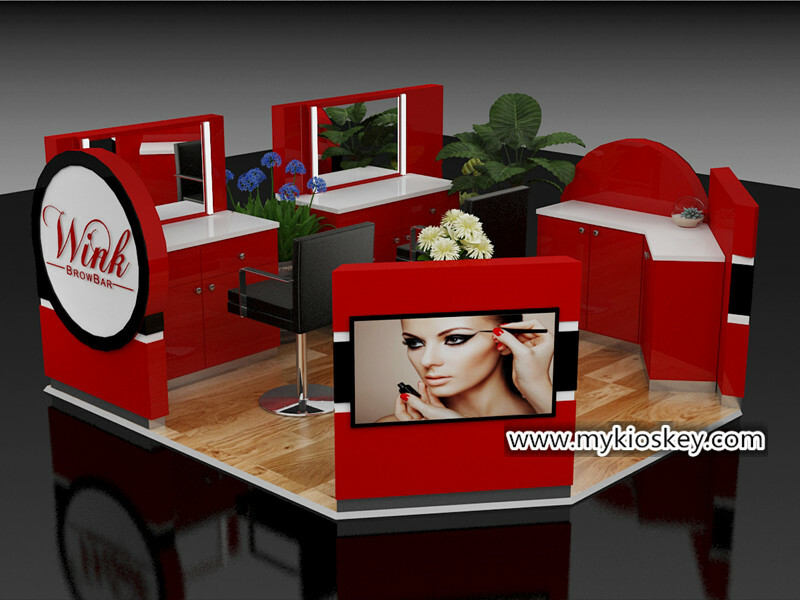 we have professional designer,we can make design for you. after mall see design,if all ok,then can go next step;if some places not satisfied,mall will give comments,then we will modify for you. 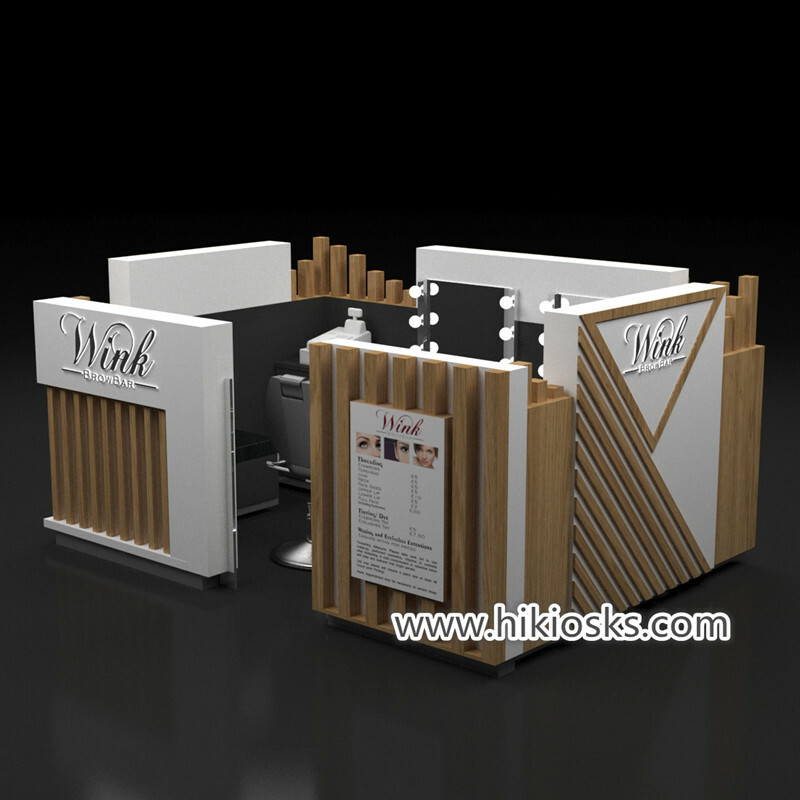 Thrid,send mall detail tech drawing to approval,then if ok,sign the lease. 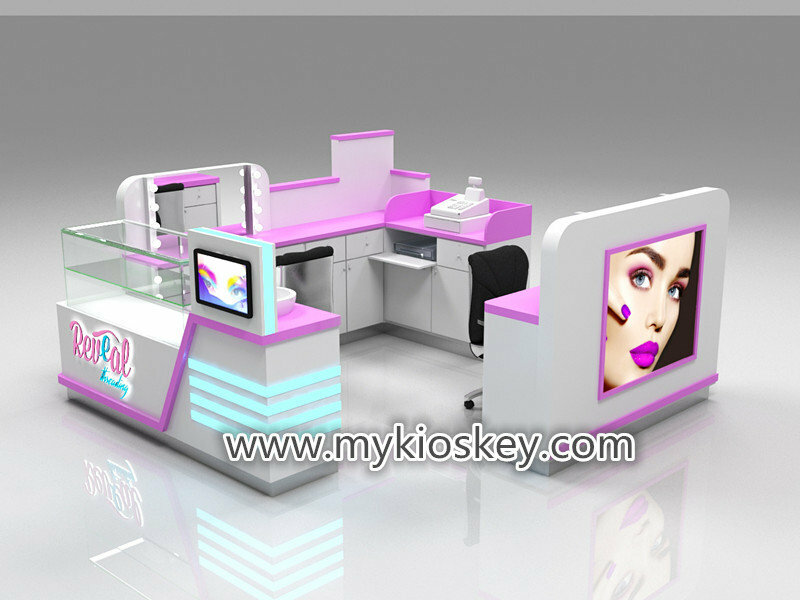 Fourth,you make 50% deposit,we arrange production for this eyebrow threading kiosk!